If you’re following Emily on Instagram you have probably seen her beautiful images of all the lovely flowers for sale at the Columbia Road Flower Market. But have you ever been? I lived in London for close to two years before finally seeking out this lively and popular market, and it's quickly become my favourite place to spend Sunday mornings. Whether you live in London, another part of the UK or somewhere abroad, Columbia Road needs to go on your bucket list. And now we're giving you the Makelight Guide - which means tons of flowers and a breakdown of the best prop shops that happen to be hidden just behind the flower stalls! 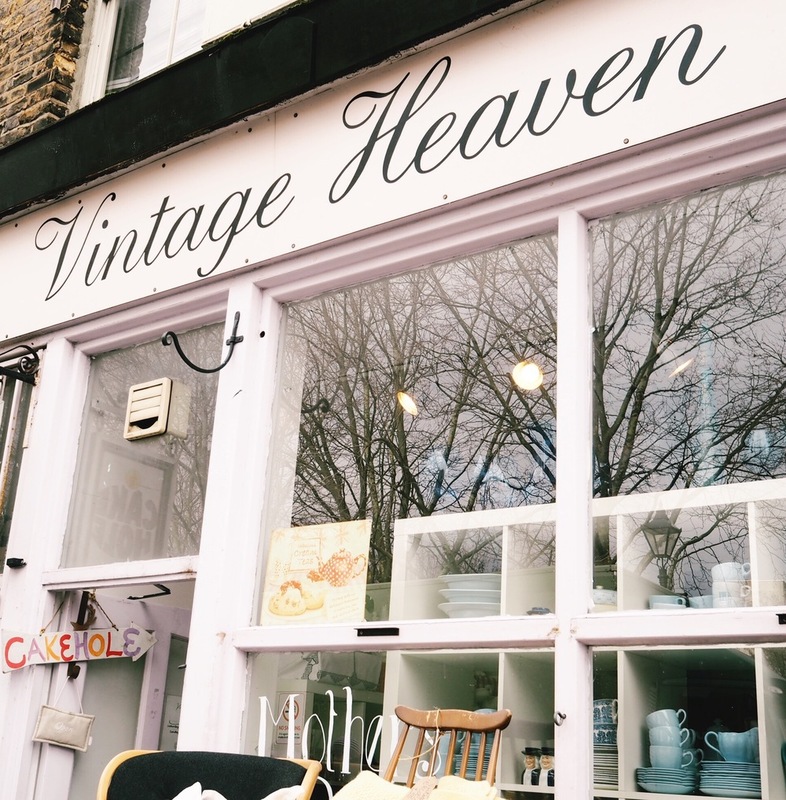 As you’ve probably gathered from Instagram, the stars of Columbia Road are the flowers – the volume and the variety will leave you pining for a visit to this colourful wonderland every weekend. What you may not know is that the same darling street is home to a fabulous array of independent shops, and some of these sell stunning props for your Instagram flat lays. Regardless of the season, this street radiates a joyful atmosphere: the sweet smell of flowers fills the air and buskers entertain visitors with popular tunes from bygone times. Columbia Road is a street in London’s East End where Hackney meets Shoreditch. Every Sunday from 8.00 in the morning until around 3.00 in the afternoon the street becomes pedestrianized and is occupied by a large and lively flower market that has existed in the same spot since the 19th Century. The site of this little street overflowing with vibrant bunches of cut flowers, bedding plants, succulents and herbs is nothing short of spectacular. When you hear the flower sellers at their stalls shouting out the latest deals in sing-song Cockney slang, it's as though you've stepped back in time one hundred years to a scene from My Fair Lady. I love how as you approach the market you see streams of people carrying huge bunches of flowers in every colour and combination you can imagine. It is too cute to be missed! Vintage Heaven (No. 82): If you like china of every pattern this is the place for you! There’s a tea shop in the back selling Monmouth Coffee and yummy treats from Primrose Bakery. Angela Flanders (No. 96): This is a vintage-inspired perfume shop that also sells candles and other toiletries. There’s a sign behind the till that says: ‘Always wear your invisible crown’ – um, yes! I bought the rose lip balm and the jasmine candle. They wrap everything beautifully. Choosing Keeping (No. 128): A super sophisticated stationary shop specialising in pens, notebooks and desk supplies from around the world. Bob and Blossom (No. 140): Adorable baby clothes, children’s books and home accessories (like pear-shaped night lights! ), plus Meri Meri items for kids of all ages. Jessie Chorley (No. 158a): The perfect prop shop for your Instagram images! The items in the flat lay above all came from this shop which specialises in embroidery, items for collage, paper sewing kits and so much other gorgeousness. If you love Makelight, I think you'll also adore this. We hope you plan a trip to Columbia Road, and please tag us in your images so that we can see what you find!